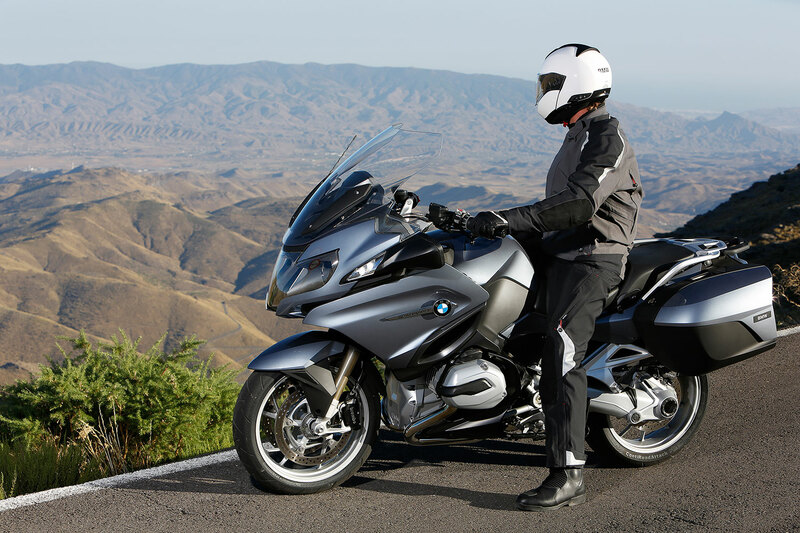 The new BMW R1200 RT LC 2014 impresses with sophisticated design, performance and even more comfort. 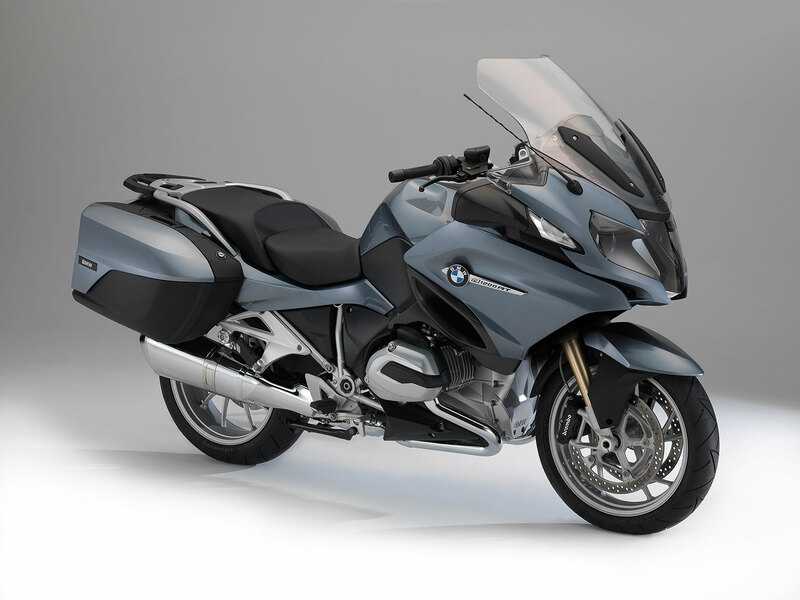 Foundation for the new drive was the boxer engine of the BMW R1200GS with 92 kW (125hp) at 7750 min-1 and a maximum torque of 125 Nm at 6500 min-1. 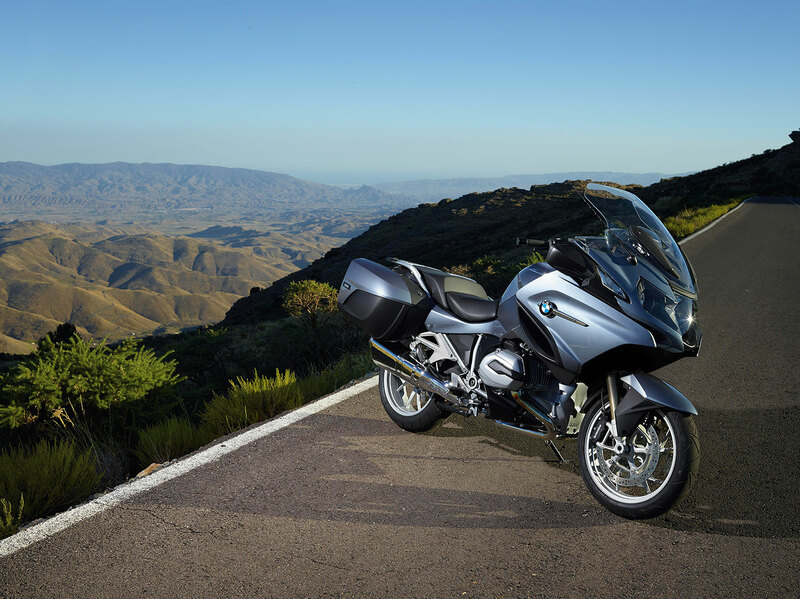 BMW Motorrad fitted the R1200RT with the two driving modes "Rain" and "Road" as well as with ASC (Automatic Stability Control) as standard. By the two driving modes the motorcycle can be optimally conformed to the road conditions. In the special equipment "driving modes Pro" you will find an additional driving mode “Dynamic” so that the sportiness of the R1200RT comes to light as well as the function “Hill Start Control” to simplify hill-starting. Another highlight is the shift assistant Pro, which can also be obtained as special equipment. Thanks to that assistant the driving pleasure will be even more comfortable and dynamic because it provides the possibility to up- and downshift without clutch or throttle activity in the driving-relevant load and speed range. Outwardly the continuous frame, which primarily ensures a better track devotion, attracts attention immediately. The semi-active chassis suspension ESA (Electronic Suspension Adjustment) , which is obtained as special equipment, makes for even more security and comfort. 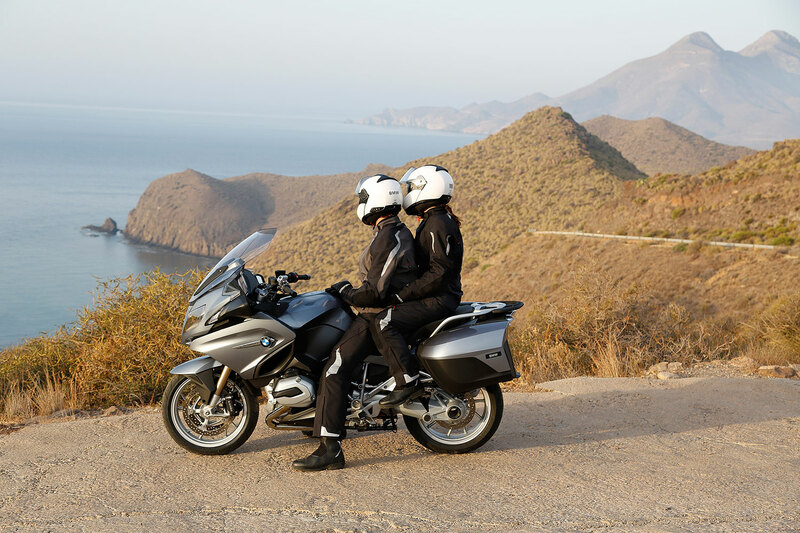 With regard to the aspects of comfort and ergonomics BMW Motorrad has achieved great things with the R1200RT. Handlebars, seat and foot pegs were attached 20 mm below, in order to provide a better ground contact, which should be very well received especially by some short bike friends. Appropriate wind protection offers an adjustable windshield. 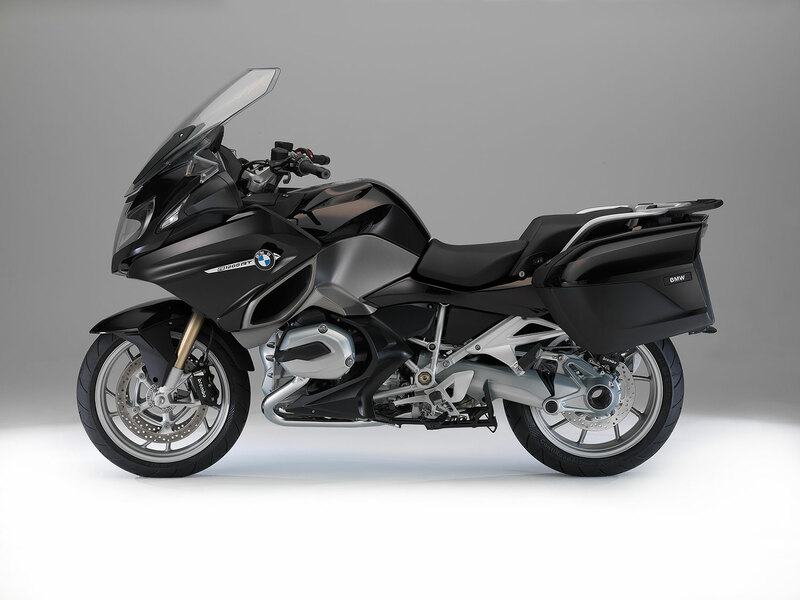 The front headlights were developed based on the BMW K1600 models and give the BMW an even more agile appearance. The new gem of BMW achieves another security point with the daytime running lights ex factory that are available as special equipment. All the important data can be read from the 5.7-inch TFT colour display. In addition you can find an analogous-reading speedometer and a tachometer. For further convenience on tour there is an audio-system, operated via the Multi-Controller. This audio-system is also part of the special equipment. The new BMW R 1200 RT is available in three different modifications. On the one hand in quartz blue metallic as well as in Kallistogrey metallic matt, which match to the contrast-paint slate dark metallic matt and on the other side in ebony metallic, that is in combination with monolith metallic.